Hi, I’m Dennis Heenan. And next to me is my beautiful wife Kelsey. 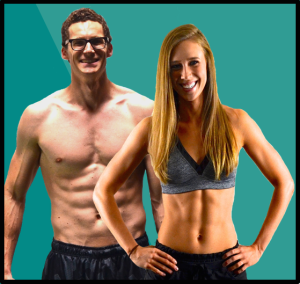 And... What you are about to discover is the extremely simple ab training technique that has helped hundreds of men and women just like yourself get stronger and leaner abs in only 10-minutes, 3-times per week. It sounds crazy, but this is the ONE and ONLY technique that Kelsey and I focus on when training our abs. 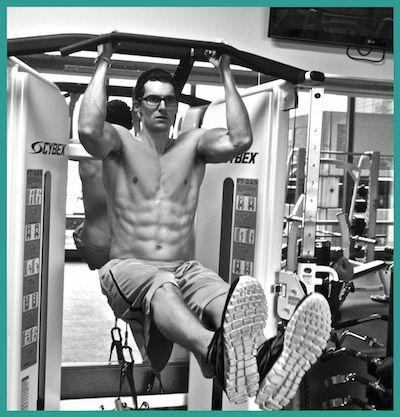 => STOP long, grueling 30-minute ab routines! Kelsey and I BOTH burned 3% body fat, and felt more confident than ever before. And YOU can do the same thing. "You're Training Your Abs ALL WRONG..."
Did you know that 9 out of 10 ab workouts you go through are KEEPING YOU from getting the results you want and deserve? 90% of ab workouts only focus on ONE dimension or one angle. The sit up, leg raise, plank, crunches. 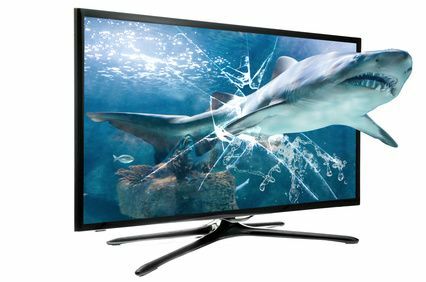 You do them in combination with our 3DX Method below. The more "dimensions" you can hit, the better. Now, what Kelsey and I are about to share is rarely talked about, especially when it comes to ab training. However, athletes, celebrities, and the most lean fitness models use this in ALL their workouts. If you don't hit all three dimensions while training your abs, you are cheating yourself out of your best and fastest possible results. Listen... 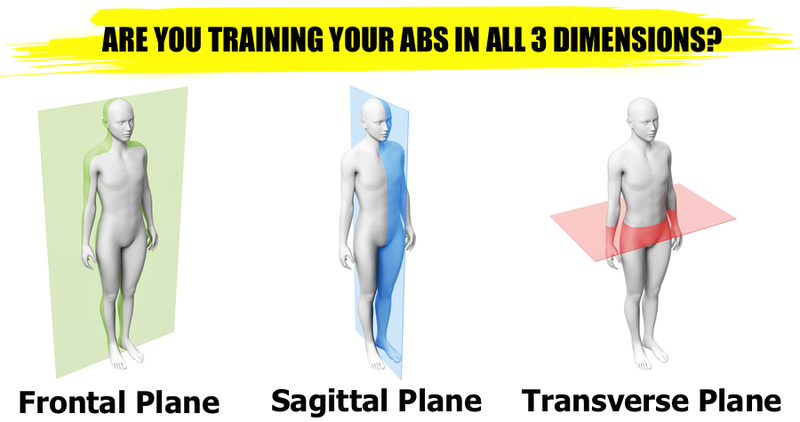 If you want to 3X your results starting TODAY... You NEED to train your abs in all 3-planes of motion. Then what we are about to go over below is for you. If ANY of those sounds like something you want... Then this is for you! Hundreds of men and women just like you have transformed their bodies and midsection using the 3DX Method,which stands for 3-Dimensional Exercise Protocol. This unique approach focuses on hitting your abs from ALL 3 angles each and every workout, which gives you your fastest results ever. Now this is important: As powerful as the 3DX Method is... In order to get your best results, you need to follow 3-specific phases as outlined below. Follow These Three Phases And You're GUARANTEED Results! Each of the phases only lasts 2-weeks AND you get a brand new workout each day! 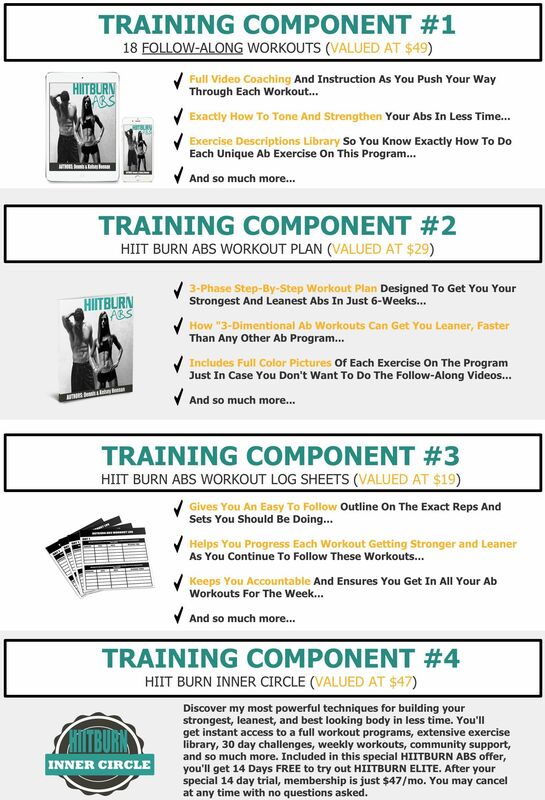 If You Want The EXACT Workouts That We Use... Everything You Need Has Already Been Packaged For You To Get Your Strongest And Leanest Abs EVER! Above all, this gives you the EXACT BLUEPRINT on exactly how to achieve your strongest and leanest abs in just 10-minute per workout! And we believe in making fitness possible for everyone and don't ever want price to be why you put off getting leaner and stronger abs... When we set out to make this program, Kelsey and I wanted to make it as affordable as possible so that everyone could benefit from it. But HOW? Kelsey and I used our resources to put together one high quality product. We filmed it in our sister-in-laws awesome gym with my brothers professional camera, so we could get the best possible video quality. On top of that, we made sure the manuals and everything we created were top of the line, in a simple and clear follow along fashion. All for you to get the best ab workouts you've ever seen at the lowest possible price. But this SPECIAL PRICE is a LIMITED TIME INTRODUCTORY OFFER! We will keep this RIDICULOUSLY LOW PRICE for as long as we can. After that though, we’ll have to increase the price. Our goal is to bring you results. Kelsey and I run a small business where we strive to serve YOU and get you the results you desire and deserve. Which is why we were able to film ALL 18 FOLLOW-ALONG workouts and give them to you for next to nothing! 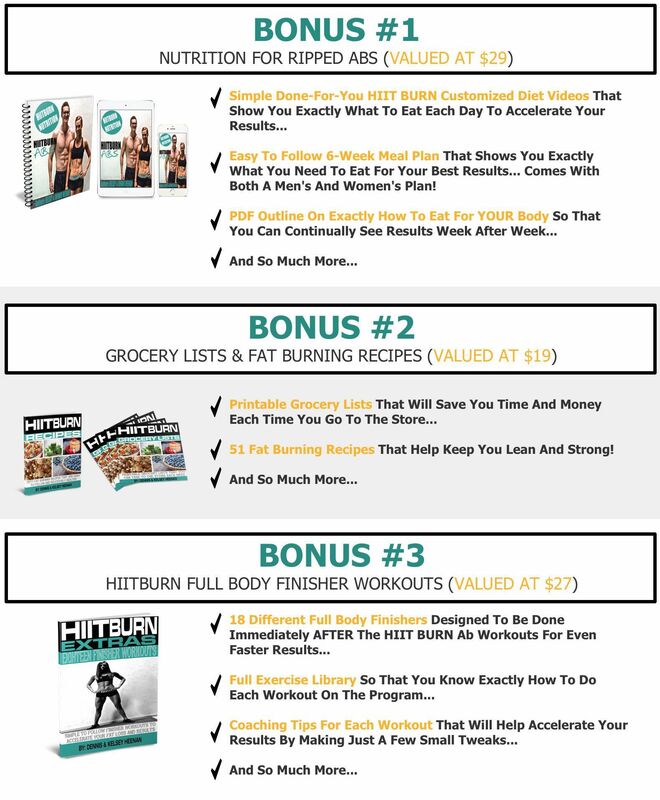 When you order today, you get instant access to HIITBURN Abs, the HIITBURN Abs Workout Manual, and a special 14 day FREE access to the HIITBURN INNER CIRCLE membership site. After the 14 day trial period, membership is only $47/month. You may cancel easily at any time. No questions asked. Click Here To Get Started NOW & Save Over 79% OFF! ACT TODAY AND GET AN INSTANT SAVINGS OF OVER 79% OFF THE REGULAR RETAIL PRICE! Every single day I receive emails from people thanking me for helping transform their bodies through my workout programs. 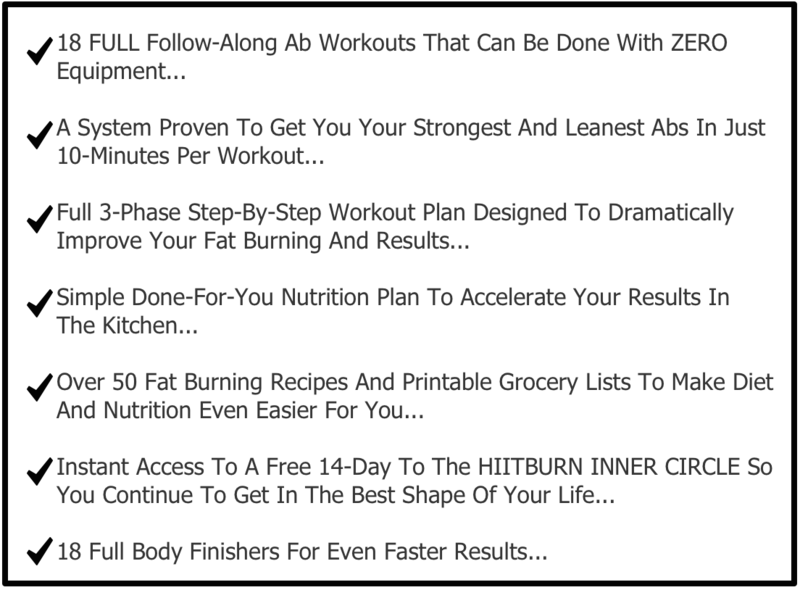 There are also over 11,000 readers and subscribers who have trusted me with their health and fitness. Give HIITBURN Abs a try. Just 6-Weeks. That's all I ask. And I can guarantee that you'll love the way you look and feel in just 6-weeks from now. P.S. You’re getting instant online access to everything you see on this page in the next 2-minutes – all for just ONE payment of $15 today. 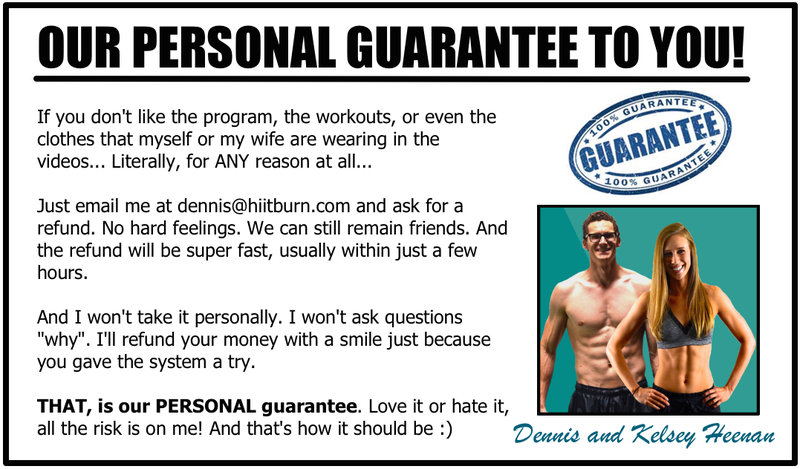 Plus, I am taking all the risk because remember, you are backed by my 60-day PERSONAL GUARANTEE. Love it or hate it, you have 60-days to try out the program and if for any reason at all, I'll refund your money if you aren't satisfied. WHAT IS HIITBURN ABS AND WHY DOES IT WORK SO FAST? HIITBURN Abs uses a combination of intensity and 3-dimensional movements that focuses on building stability, strength, and flexibility in your core while burning the fat around your abs. 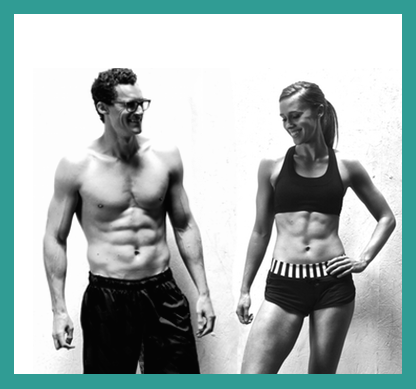 With new follow-along workouts each day, you will have the exact blueprint that you need to get your strongest and leanest abs ever. HOW OFTEN SHOULD I DO THE HIITBURN AB WORKOUTS? These workouts were designed to be done 3-days per week. Remember, your abs are just like any other muscle… They should NOT be trained everyday. For best results, stick with 3 or 4 days max per week. CAN I DO THESE WORKOUTS WITH MY CURRENT PROGRAM? YES! That is how they were designed, to be an add-on to your current program. If you are super busy, these workouts by themselves will bring you some good results. However, the best results come when you combine them with another routine. HOW SOON WILL I GET THE PROGRAM? Immediately. 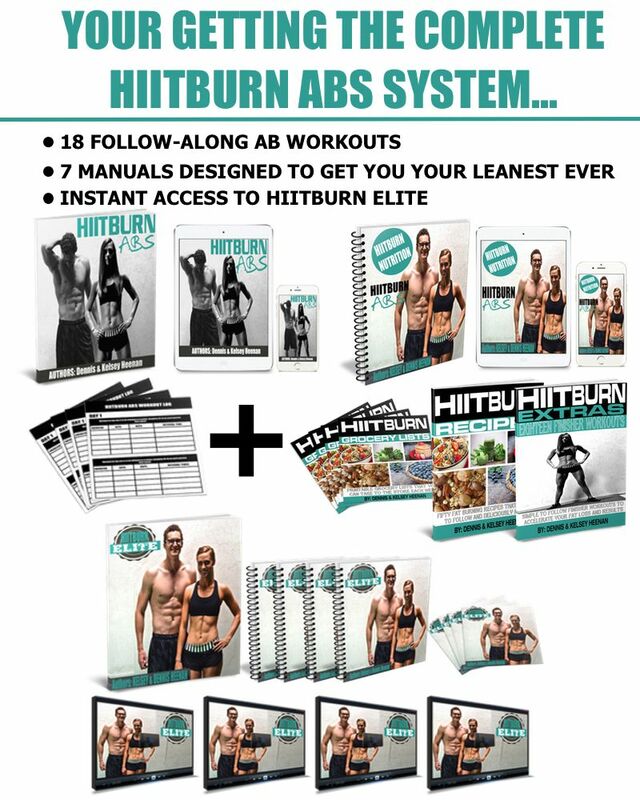 The HIITBURN Abs system and all the bonuses are 100% digital and can be download immediately upon purchase. DOES THE PROGRAM WORK JUST AS GOOD FOR WOMEN AS IT DOES FOR MEN? Absolutely. Both my wife and I use these exact same workouts. We train the same way and see awesome results. Health and fitness does not discriminate, so whether you are a man or woman reading this right now, it WILL work for you. WILL THIS PROGRAM REALLY HELP ME GET ABS? YES! This program was designed to get you stronger and leaner abs in 6-weeks from now, guaranteed! You will see a dramatic difference in the first 7-days, then your results will only get better. The more consistent you stay with the workouts, the stronger and leaner abs you will get. WHAT ABOUT EQUIPMENT, DO I NEED ANY? NONE at all. These workouts are 100% bodyweight. The only thing you may need is a yoga mat, blanket, or towel for some of the ab exercises that you’ll do on the floor. DON’T MISS OUT ON THIS ONE-TIME OPPORTUNITY!